7.5mm, the thickness of lip board is 15mm. Hydra-app brand (imported from Italy). 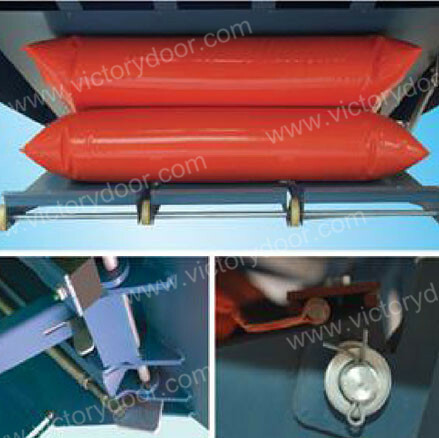 •Open-style streamline hinged joint design can accommodate the lateral deflection across the width of the trailer bed. •Leveler is supported by strut rod during maintenance and cleaning, which is safer and more reliable. also available,price will be about 300USD different. two 3-fragment toe guards will close and open automatically to prevent the operator from stepping into the under frame accidentally. 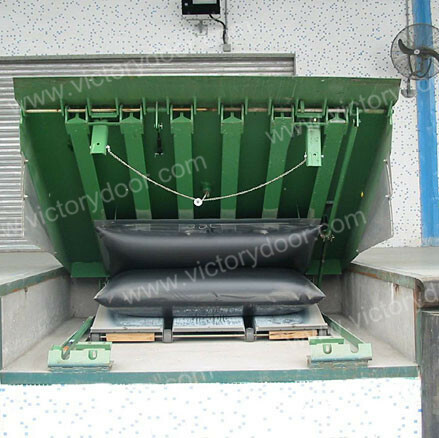 •There are special facilities under the framework for the forklift to move it during handling. Also there are four rings on the leveler surface for the crane to move it. available. It will teach you how to install and analyze and remove the failure. Even non-professional know how to use and repair it under the guidance. •Lip will adjust upward and downward automatically with the upward and downward movement of the trailer bed.